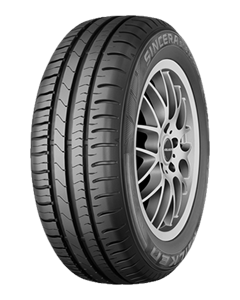 The Falken Sincera SN832 Ecorun has been created with improved fuel efficiency and increased wet performance in mind. The rubber compound of the tyre has been carefully optimised to ensure lower friction. This leads to less heat generation and an improved rolling resistance. With the innovative SINCERA SN832 ECORUN Falken's engineers have achieved a technological quantum leap - by means of the ground-breaking 4D nano design technology and a new silica mixture.